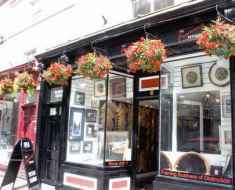 The staff of The Framing Workshop, Bath, have been helping you to present and preserve your pictures and precious keep-sakes for nearly 30 years. This web site demonstrates some of what we can do for you, our picture framing spans many areas, including box framing, glass and perspex boxes, handfinished and gilded frames, a wide range of natural woods and swept frames (see the memorabilia page for some examples). We also make mirrors to order from our wide selction of mouldings. We stock conservation glass that offers protection from harmful ultra violet rays and non-reflective glass that gives viewing that is uninterrupted by distracting reflections. All our mountboards are of a conservation or museum specification giving total peace of mind that your artwork is being looked after for future generations. We combine professional skills with quality materials and machinery, giving you confidence knowing that the preservation as well as the presentation of your art is of considerable importance to us. We are extremely proud of our reputation, enforced and supported as it is by our success in a wide variety of competitions.